EU Commission's vice-President Tajani to EuroFora : EU can become Autonomous in Space High Tech. Home newsitems EU Commission's vice-President Tajani to EuroFora : EU can become Autonomous in Space High Tech. *Strasbourg/- Europe is able to develop all High-Tech means guaranteing an "Autonomous Access to Space in the next 5 years", and can become "a Protagonist" on Space Technology, fex. 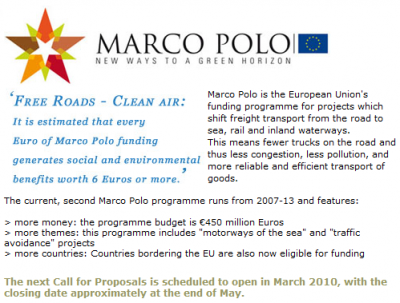 with GALILEO's Sattelite Navigation System, replied to an "EuroFora" question EU Commission's vice-President in charge of Transports, Antonio Tajani, who is designated, in the Barroso II New Commission, to lead EU's "New Industrial Policy". 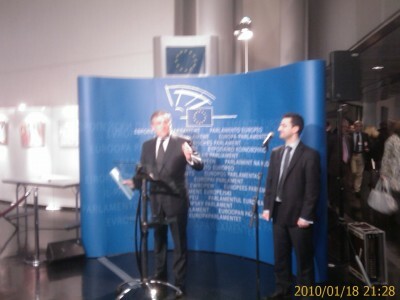 - "EuroFora" asked Tajani if, when he refered to "Space" as a "new area" of EU competence "after the entry into force of Lisbon Treaty", at an earlier Hearing by EU Parliament's Commission on Industry and Research, he believed, or not, that EU could and should ensure an "Autonomous Access to Space in 2010-2015". Currently it's only USA and Russia, probably followed by China, who notoriously try to develop new re-usable vehicles both for Orbital and outer Space flights, starting by projects such as "Orion" and "Kliper", etc. respectively. But ESA's latest proposals to cooperate on building a Space Vehicle, either faced a refusal (USA), or were droped because of internal disagreements, as fex. after a December 2005 ESA session in Berlin, when, reportedly, the lack of only one (1 !) vote, cancelled a Russian offer..
- "In my view, Yes.. I think that we (EU) are pretty able to make it", clearly replied Tajani to "EuroFora"'s question. 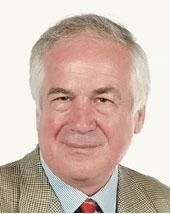 - Considering also that "Europe must have its own Space Policy, according to Lisbon Treaty", he added. 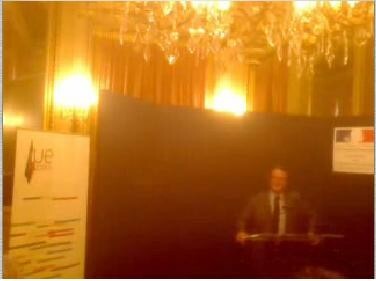 "We (EU) are already working with GMES ("Global Monitoring for Enironment and Security") and GALILEO (EU's Satellite Navigation System, equivalent to USA's GPS and Russia's Glonass, etc), We have already EGNOS, which works well", and "on 2014 we shall see also GALILEO working". -"That's why, I think that Europe will be a Protagonist" on Space Tech., particularly "if we'll (EU) have the Political Will to support this great project : I think that GALILEO is a pretty great Challenge, that Europe must win. I am committed to succeed on that", Tajani promissed. Significantly, EU Commission's vice-President made these statements in Strasbourg, located near Stuttgart, whose Stockmarket hosts the German "Family" SME which won recently the competition for the EU procurement to fabricate 24 GALILEO Satellites. Strasbourg also hosts a World-famous Seismologic Laboratory at its "Globe Institute", which was recently cited by Reuters even for the analysis of the Earthquake which stroke ... Haiti, at the other side of the Earth, in the Gulf of Mexico (! 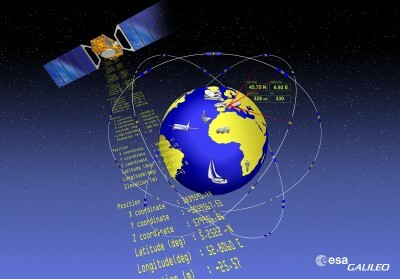 ), as well as an "International Space University", a performant Earth Observation Center for Maps made by Satelites (CERTIT), etc., while being also close to the EU "Space Operation Center" at nearby Darmstadt (between Frankfurt and Strasbourg), the European Austronaut Center (at Mainz), Germany's biggest Atmospheric Dynamics' Research Labo, etc. An even longer list of interesting Space-related EU assets, that the "European Science Foundation" (HQ in Strasbourg) has already tried to synthetise all together as "Earth Sciences", and that French Senator Philippe Richert recently anounced his intention to support as "Pole of Excellence" for "Eco-Technologies"
"2014 will be a key year for GALILEO", because "we (EU) shall start to see Practical Benefits" from it. 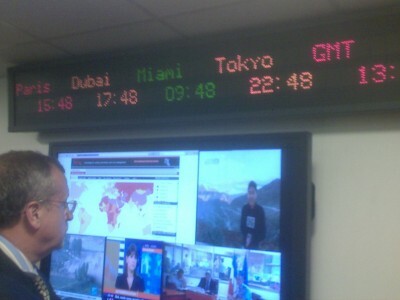 But, as far as GMES is concerned, it has already started to be used in Crisis situations, f.ex. after the recent Earthquake at Haiti, where it helped dispatch aid on the ground, he anounced earlier. He was replying to a British MEP concerned if what she called "alarming Costs" for GMES and GALILEO might "delay" them further ("550 Millions € per Year", and "74 Millions €", as she said), the EU Commissioner did "not exclude" to ask EU Parliament to act "if there is a need for further funds", since, eventually, there might be "extra costs of about + 16% in average". But, "for the moment", on GMES, "we are IN the Budget", he observed. 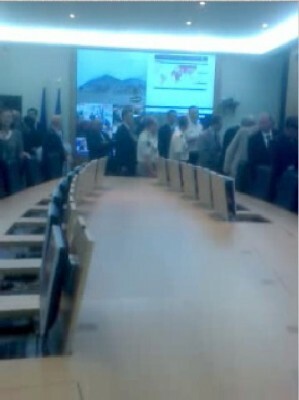 Moreover, the realisation of such Space programmes could generate ..."Savings of 90 Millions €", Tajani observed. Curiously, some British worries about comparatively small overcosts on Space High Tech projects, did not extend also on the controversial old A400M military transport Airplane project, deprived of any important novelty, but requiring ...more than 5 Billion € as overcostrs, in addition to the 22 Billions € already wasted there, (and which could become available for other, much more interesting EU projects, as in Space Tech., "Airplane of the Future", etc, if the controversial A400M was droped, as various people suggest)...Meanwhile, however, GMES' Satelite Earth Observation's mecanism succeeded to help Rescue operations after Haiti's tragic earthquake, while A400M would never be of any help there, because it's unable to fly so far..
"Galileo is a Global project, and not only European", observed Tajani in another reply to the same MEP's questions about China's moves and Galileo Satellites' "safety". That's why EU Commission's President, Barroso himself recently 'wrote to the Chinese President, in order to find a way to "harmonize the EU and the Chinese systems", for a future use of both infrastructures, so that Galileo will be able to pick up Signals compatible to both systems, so that it won't damage any of them, but work with both. For a similar aim, "Barroso wrote also to Russia", Tajani revealed. In general, there is, today, "a Political Need for a New Industrial Policy" for Europe, based on "Innovation", "Green" Growth, and open to SMEs,, Tajani stressed earlier, speaking with MEPs. 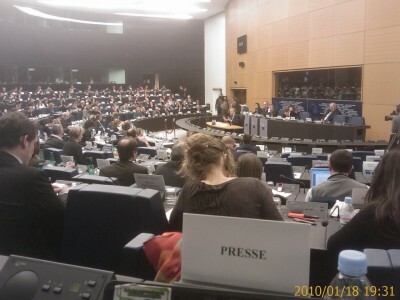 On the Topical point of "Carbon Tax" extended at EU's external Borders, his statements were welcomed by several MEPs, including French MEP Rachida Dati, traditionally close to President Sarkozy, because, unlike other Commissioners, he appeared open to "Anti-Dumping" measures, if EU has to face "Unfair Competition" by "Social and/or Environmental Dumping" from 3rd Countries, (fex. China or Turkey, etc), who produce "cheaper" just because they don't respect neither Workers' elementary Rights, nor the Environment. - The idea of a "CO2 tax .. is an Hypothesis to consider, actually laid down in the ITC Legislation", but "it's better to wait until (UNO's) Copenhagen Summit's process is completed, (i.e. by collecting the Commitments of each Country, on January 2010, and by advancing towards a Binding Treaty : See "EuroFora"'s NewsReports from Copenhagen, 12/2009), assess the situation, and take EU decisions on the basis of informations given by the UN also on other Countries' stance, Tajani advised. 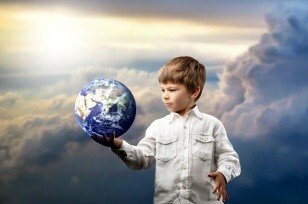 Indeed, Copenhagen was "a 1st step", insufficient but useful, achieved by Europe in the Global World, since it incited USA, China, and other Countries to undertake commitments to fight against Climate change for the 1st time, the EU Commission's vice-President observed. Meanwhile, the "Green Economy" is a New Market growing more than +5% per year : It's not only about Environment, but also an Economic choice, and has already become a huge Economic opportunity, Tajani stressed. - Markets are not only about Economy, but also about Human Health, Environment, Jobs and other Social issues, etc., he said, reiterating his promisses (See relevant "EuroFora"'s 12/2009 Publication) to systematically "consult" all People involved before taking important decisions, to update and "revise" EU Regulations on Dangerous Substances (as "Reach", etc), to defend the "Memory of Sacrifices done by our Fathers" who created the first factories, by protecting "Europe's Industrial Heritage", to support "Solidarity" as a European value, and to "tell the Truth" to workers, whenever they have to face hard "industrial restructuring" provoked by the "Global Crisis". In particular, Tajani, who is also in charge of "Enterpreneurship", stressed the importance of "SMEs", both as "Start-ups" for Technologic Innovations, and as "Micro-Enterprises" helping Workers who became "redudant" in some old big Industries, to find an immediate way to re-integrate the Labour market and gain a living. But, at any case, Europe should face Global Competition and threats of outsourcing industrial production, by promoting "Quality", and not necessarily by "Quantity", he argued, pleading f.ex. for "New Cars of the Future", and other Innovative products, while also supporting the view that even the oldest industry in the world : that of Textile, "can become a key in the Future"; a,d "Modern", particularly if it creates innovations with High Tech, (as a recent Exhibition at EU Parliament has shown in Strasbourg, pointing at concrete realisations, fex. by fabricating clothes for Austronauts and/or other textiles used in various Air-Space or Defence activities, during special Industrial processes, etc, extending even to innovatie "Nanomaterials"). ..